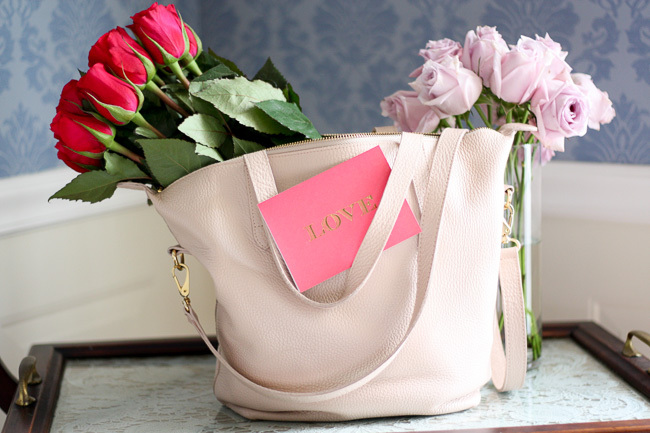 Faith and Fancy : Valentine's Day Gift Guide for Her! Valentine's Day is a holiday I'm quite fond about and for reasons that often get overlooked. At it's roots, Valentine's Day is all about love - something this world certainly could use a little more of. But more so than that, it's a day about gratitude and appreciation for all that love in our lives. The love is always there, sometimes we just get a little too wrapped up in the day to day things to see it. I love how on Valentine's Day we stop for a moment to recognize that love - the love of family, of friends, significant others, and also the love we have for ourselves & our lives. There are many ways to show that love & appreciation to the special people in our lives. Gift giving is actually one of the five love languages - a way to show someone how much you care and how much they mean to you. Getting someone a gift has nothing to do with materialism or buying their love, but instead it is a small gesture that speaks volumes. It says, I love you and appreciate you so much that I took the time to find something I knew you would love. With a little bit of thought and love put into it, gift giving is the perfect way to show someone how much they mean to you. This Valentine's Day, I will be gifting to those special people in my life, who fill me up with love each and every day. It's such a simple way to say thank you for something we definitely take for granted. I encourage you to do the same this year. It doesn't need to be a grand gesture or gift, something simple and small with thought put into it goes such a long way. I put together a little collection of items that I think would be the perfect way to show the ladies in your life how much you care. Whether that be a girlfriend, sister, mom, or friend, there is something for everyone. And don't forget, the simple gift of fresh flowers, on Valentine's Day or any day throughout the year, is an easy and perfect way to send your love! xoxo and Happy Valentine's Day!